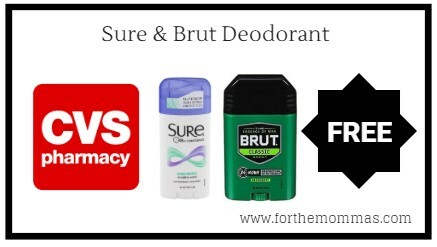 Starting 9/23, CVS will have Sure Deodorant and Brut Deodorant for $2.50 each. Plus you can get $1.00 ExtraBucks wyb 1. Combine a coupon insert with this deal to make your final price FREE! !